It’s still three years away, but promoter Michael Lang is looking for partners with which to put on a 50th anniversary edition of Woodstock and, possibly, annual events in the years after. The Brooklyn Mirage, a large new outdoor performance and event venue in Bushwick, is pleased to announce 2 More Days of 1969. The two-day event celebrates the 48th anniversary of Woodstock featuring an all-star lineup of original acts and festival co-creator and founder Artie Kornfeld happening the weekend of August 18-19, 2017. "Woodstock '99 was just a musical experience with no social significance," Michael Lang says of Woodstock 50. "With this one, we're going back to our roots and our original intent"
Michael Lang – the co-founder of Woodstock – has announced that the festival will return later this year to mark the 50th anniversary of the original event. The three-day festival will be held at the Watkins Glen International Raceway in New York between August 16-18 this year. A list of artists won’t be announced until ticket go on sale next month, but Lang tells Rolling Stone that more than 40 artists have been signed up. Sadly I don't think my personal favorite Sly Stone will be making this one. This is the Sly that I remember! What would we like to see at Woodstock 2019? Just a Zeppelin, Floyd or White Stripes reunion. But we'd settle for Axl and Dylan knockin' on Watkins Glen's door. With that in mind, we created a fantasy line-up for the festival that brings back some of the artists that made Woodstock a household name, some inaugural Woodstock artists and current artists across many genres. It's curious that with all the discussions going on about getting as many of the performers who played at Woodstock back, I see next to nothing about chances of get in Billy Cox to perform. Billy replaced Noel Redding in the Jimi Hendrix Experience just before the Woodstock performance and went on to play bass in the short lived Band of Gypsys. He still performs today in small places from time to time. I know this article is being hypothetical, and Woodstock is about diversity in popular music, but some of these people like Beyonce, Chance The Rapper, and that Grande girl shouldn't be allowed within a hundred miles of this event. 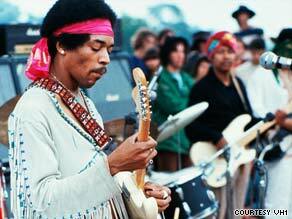 Woodstock 50 to celebrate anniversary of original festival; so what should we expect? It’ll certainly be interesting to see who they get. Frankly I think Desert Trip was about as close to a “new” Woodstock they’re gonna get. The festival circuit is packed already and I’ll be surprised if they can get a lineup worth shaking a stick at. Look forward to seeing what they do though.